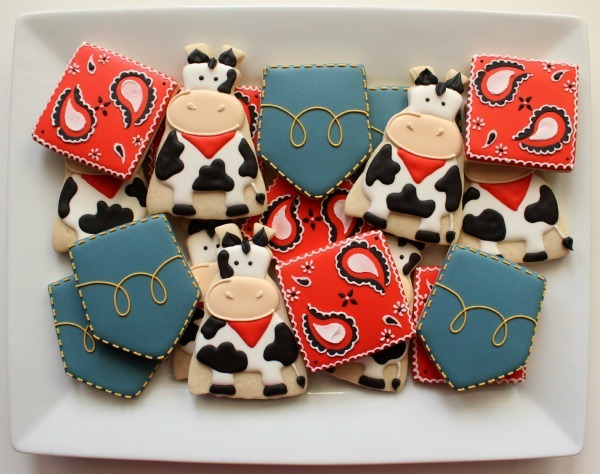 Are farm-themed cookies on your to-do list? 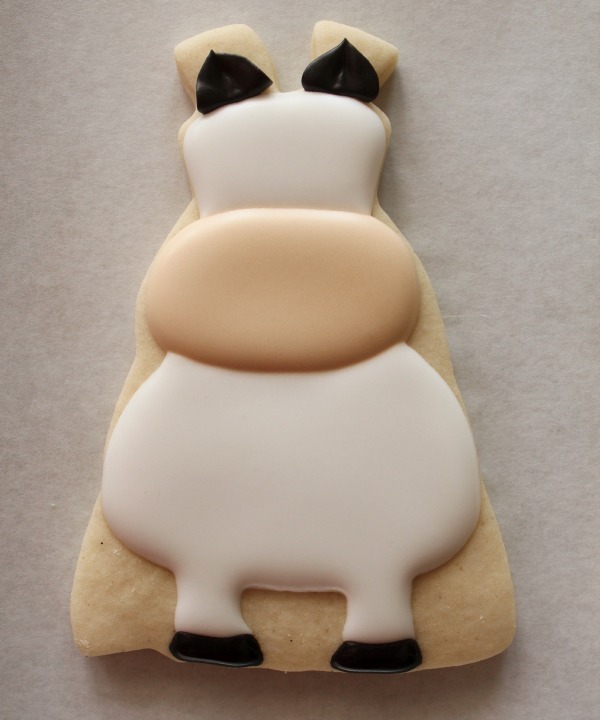 Then this cute little cow cookie is just what you need. 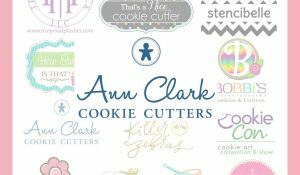 Believe it or not this friendly little farm animal started out as a dress cutter. 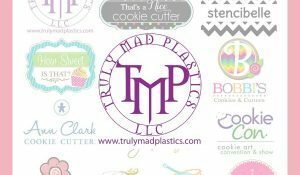 I picked this one up at The Cookie Cutter Company. 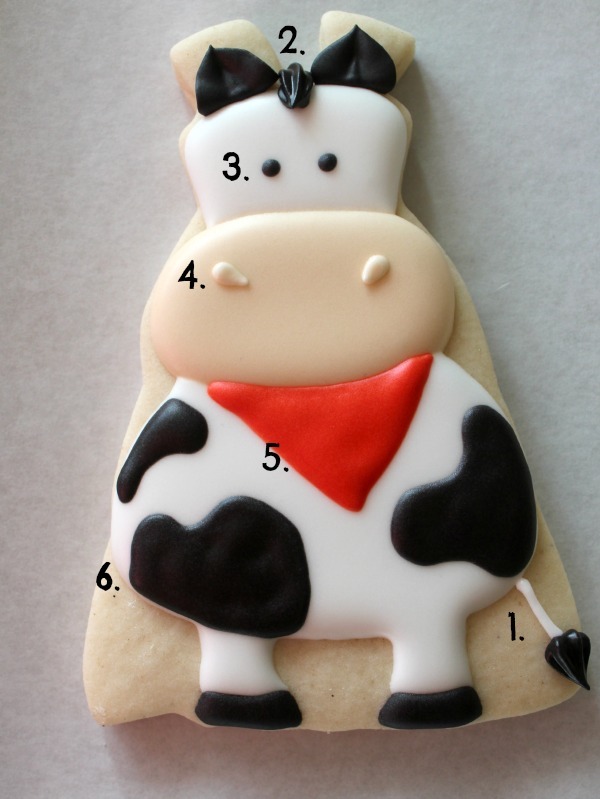 Begin by using ivory 20-secong icing to create the lower portion of the cow’s face. 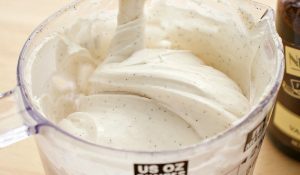 After a few minutes, use white icing to create the body and top portion of the face. Add a few final details to finish up the design. I love to mix colors and designs to add visual interest to my platters. Oh my goodness! Oh my goodness! Oh my goodness! Oh my goodness! I want to roll with you!!! These cows are outrageously CUTE! I need some cow loving customers so I can make them asap!! Oh my heck Callye, these are simply adorable! And I need something cow themed for Christmas…yes Christmas. Pinning! Thanks for your genius! Pretty cute stuff goin’ on here Miss Callye! Too cute! I love how you make everything look so simple! Love it! His ears are killing me with cuteness!!! I love this little guy! That is just perfect! Love, love, love the cow and I love that your mind saw the cow in the dress cutter!!! Oh, my, gosh. How adorable are these! 🙂 Too cute! 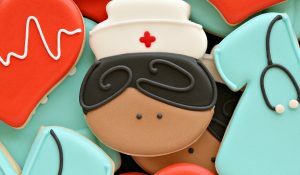 I always love looking at your cookies! This cow is adorable! Your talent amazes me! This cow is amazing and adorable! Your creativity is so inspiring!! The cow is so cute! You never cease to amaze me with your talent and ideas! Who would’ve thought a dress could turn in such a cute animal! Wow, this is so creative!! 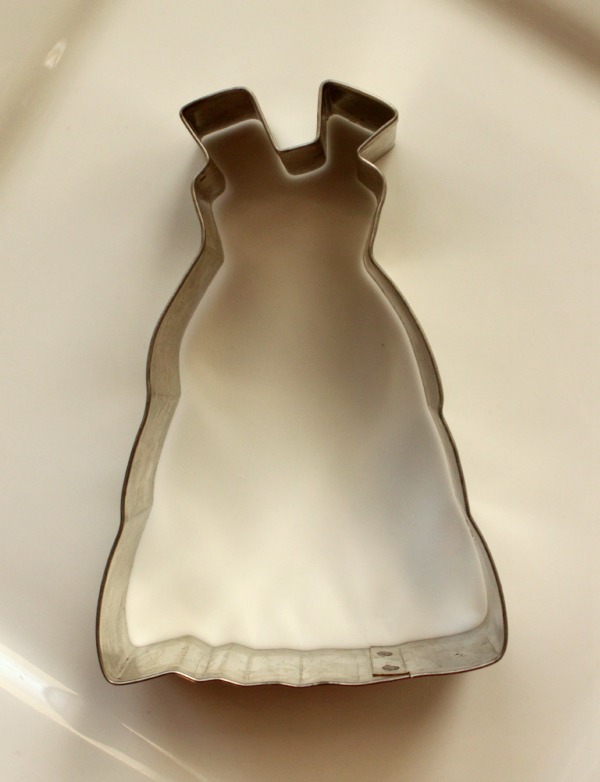 I have NO IDEA how you can look at a cookie cutter and see totally off-the-wall things in them. That’s got to be a skill you’re born with or something! Too cute, Callye! I’m on my way to check out the tutorial for the bandana cookies. Those are my favorite from this set! 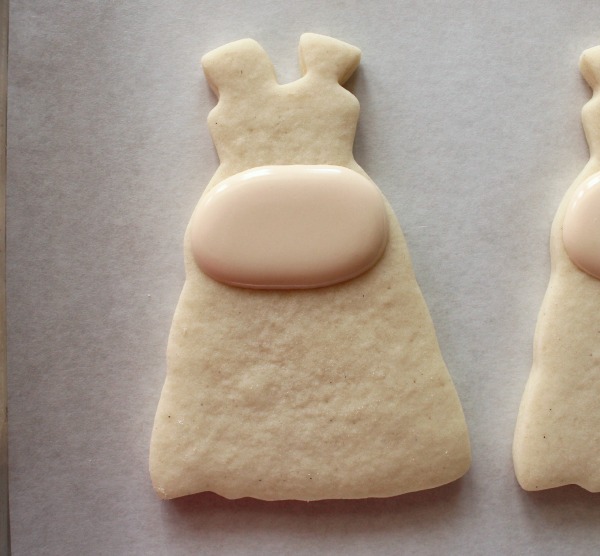 What a creative use for a standard dress cutter. And I love that he’s wearing a bandana. Adorable! Your really know how to *dress-up* a cow in the cutest of ways. 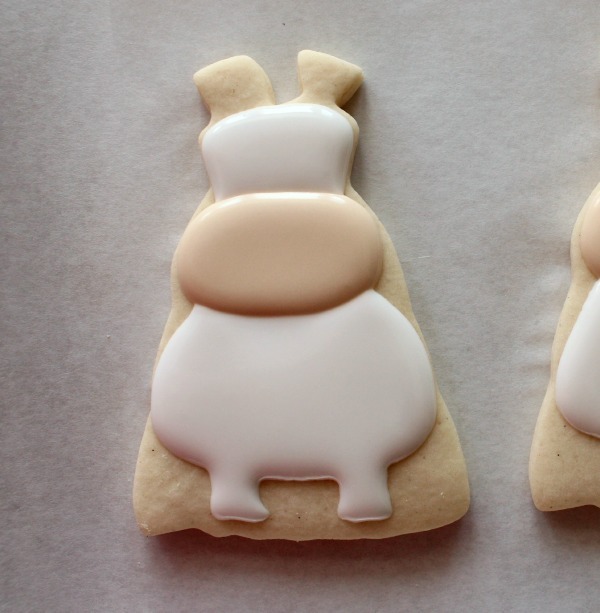 Adorable cookies! Awww, c’mon Callye, You’re TOO MUCH! 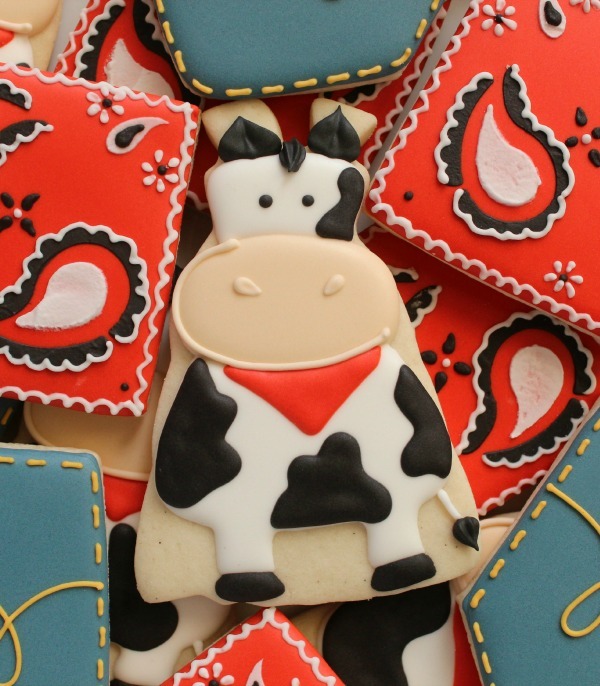 Not only did you make a cow from a dress cutter, but you made an ADORABLE cow from a dress cutter! I love this whole set! Oh my gosh, those denim pockets are to die for! I love them!! Sugar, love these. I have been out of the loop fpr months now being that I was in and out of the hospital for almost four months. More in than out. I think Ive shared with you in the past what my illness is. In fact I know I have. Anyway. you just have evolved so much since those four months have past. not that you were not amazing before. But my gosh ,these are too much. Too cutte and would put a smile on anyones face. Thank you for always being kind enough to share your ideas. I see cookie con is happening again. What a dream that would be for me to go. but with my ongoing hospital bills and not knowing if there is a cure for me close around the corner. I do not think I will make it there. 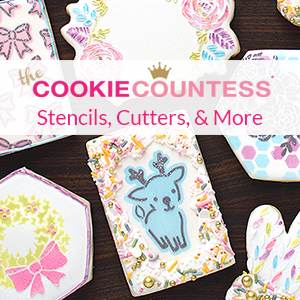 It would be so awesome to meet all my cookie idols. Anyway love love the cows. Love all your new work and keep on trucking girl. Youre amazing inside and out. It is nice to be home and to start thinking about getting back into the grove of baking. My biggest therapy. got to retrain my hands for piping. I so can not wait to make my first batch. What a fun time of year to get back into it. Best and Blessings Stacey. BTW I see your fan page doubled in numbers while I was busy being taken back and forth to Duke. Congrats to you.